Having Hong Kong Dim Sim in one of the local recommended places without being too touristy is something I have always wish for. 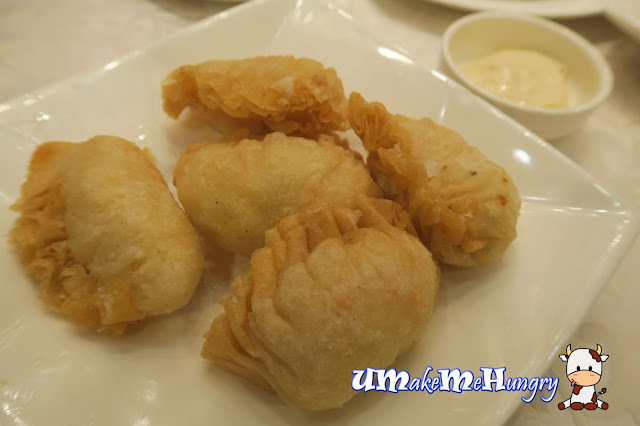 Skipping the over commercialized and publicized tourist recommended Dim Sum Places, we headed to Majesty Chinese Restaurant with the recommendation by my pal's local relative. 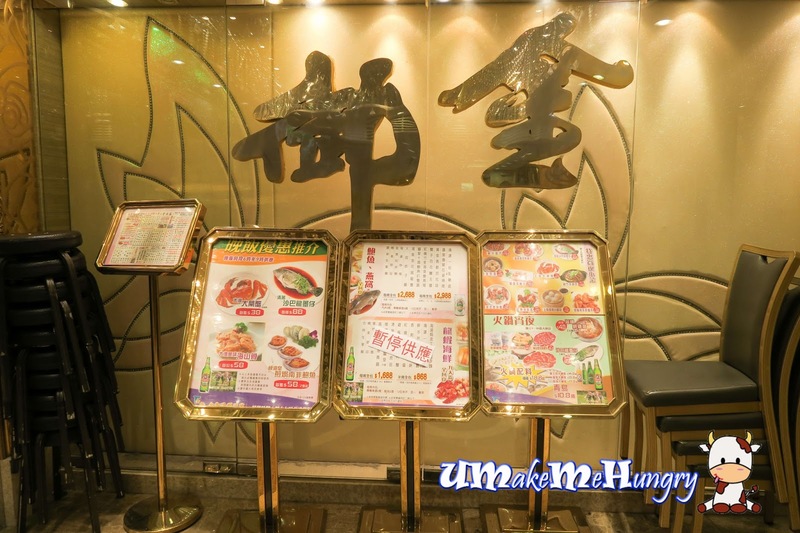 Being a tourist in Hong Kong, we took a Escalator up the building and only to find out that Majesty Chinese Restaurant is only accessible by the lift on the entrance level. While the building where Majesty Chinese Restaurant is housed is still quiet as most of the shops were still having the shutters down and not yet open for the day, I was shocked when I entered into the restaurant. The entire place was bustling with locals and were full house in one of the section. 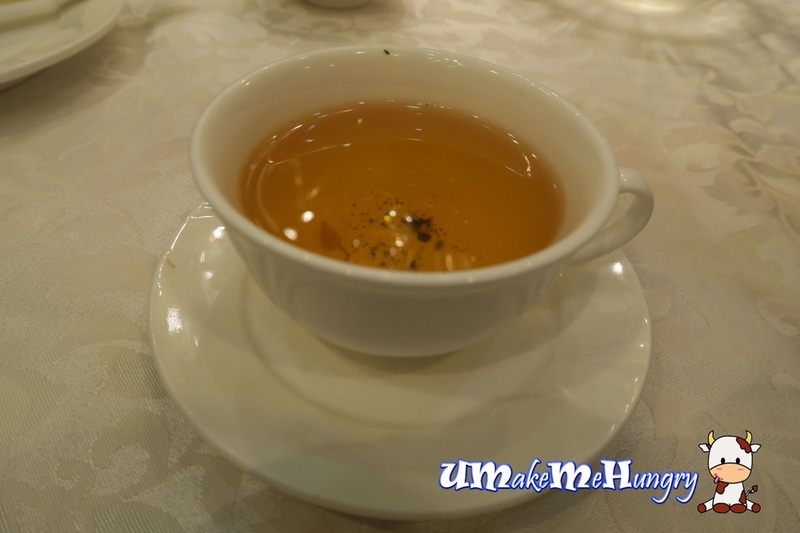 Environment was furnished just like any typical Chinese style restaurant, spaciously planned with grand red carpet and plushy chairs accompanied by white table cloth. This style would probably fit in time from the 70s to early 90s in Singapore. Service crews were smartly attired and was seen busy as ever running from tables to tables. However ordering was made easier with menu chit. Just indicate the amount we would like to order and raise our hands frantically to grab the attention from the crews. 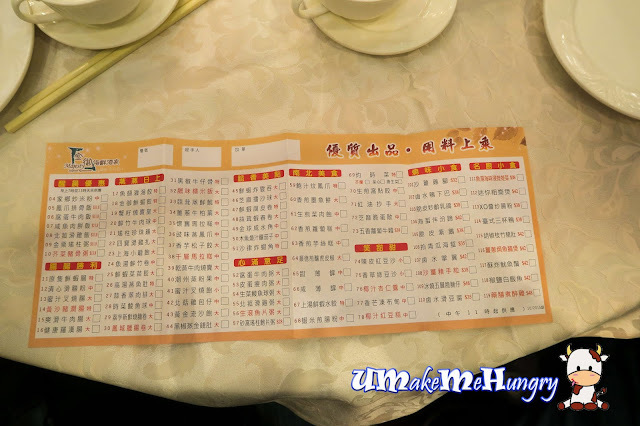 As they served the dishes, they will stamp the price of the dish on the card and wait for these stamps to accumulate and it will give a total of what we had spent at the end of the meal. 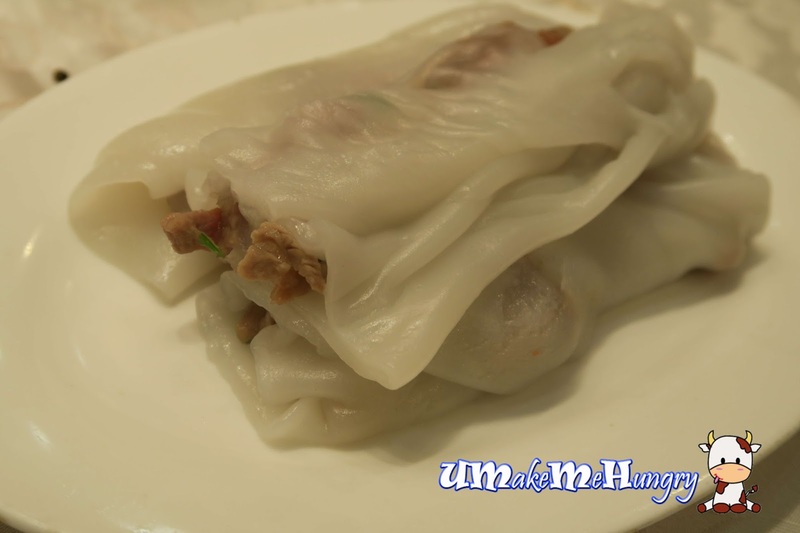 Initially, these plain rice rolls were served in their unappetizing form, lacking the usual gloss and moisture from their translucent rolls. Not long after the rolls were served, we managed to grab hold of the soy sauce that elevated the presentation to something more stomach grabbing. At least now we would not go plain without some salty taste. In fact the soy sauce played a very important role giving it a finishing touch, adding the water content to the dish making it smoother for consumption. Fish Porridge is one of their recommendation. Straight forward dish in plain gluey form. Shredded ginger was added to reduce fishy taste. Another porridge that we had ordered was century egg with pork porridge. 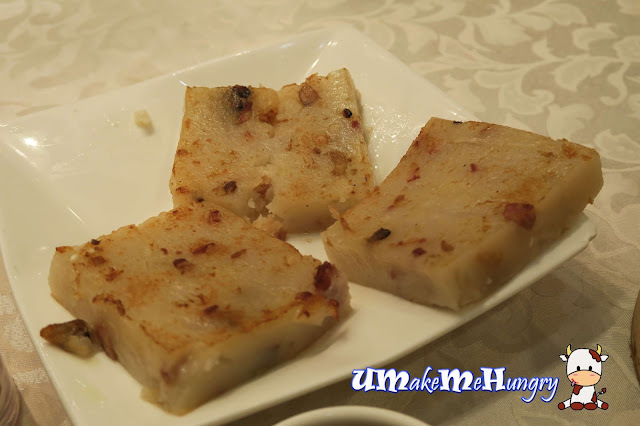 Comparing to the fish porridge, it has more flavours due to the ingredients used. Anyway both taste as good! Looking at the tray of fluffy Cantonese Char Siew Bao, they were hot yet tempting. Sweet savoury char siew fillings were all as expected. Don't expect entire fillings consist of lean meat. 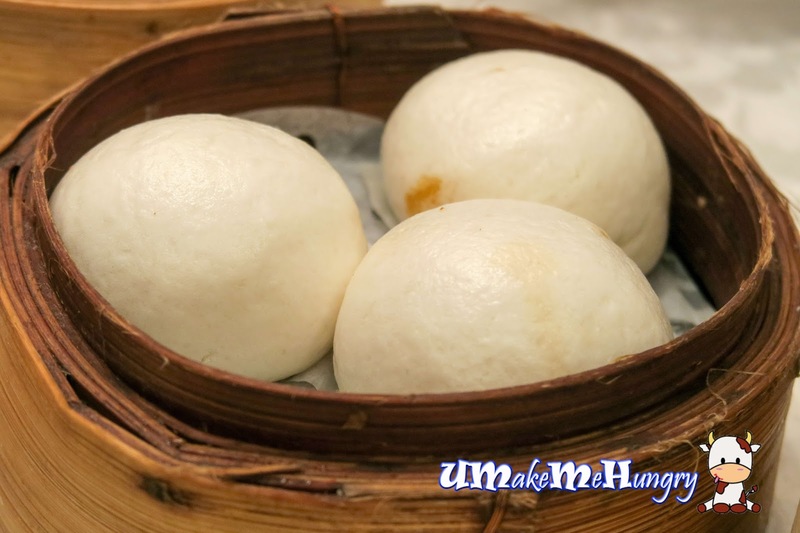 In fact a good proportion of fats and meat are definitely what makes a Char Siew Bao. Prawn Dumplings to dip into the given salad sauce. Serving was hot and not too oily. 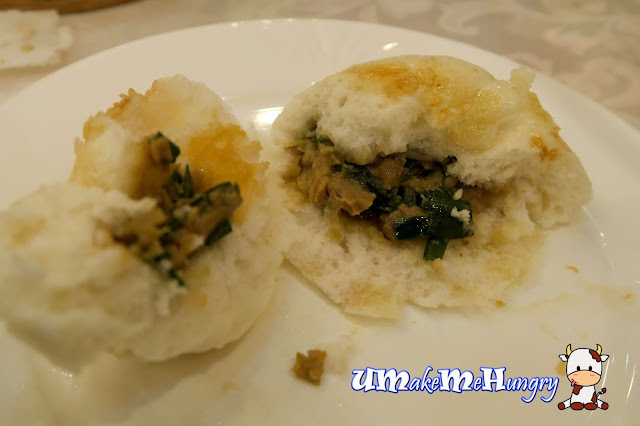 I was excited when I saw these fried vegetables and meat buns available on the menu as it is not very often to see such item for order in our local dim sum place. 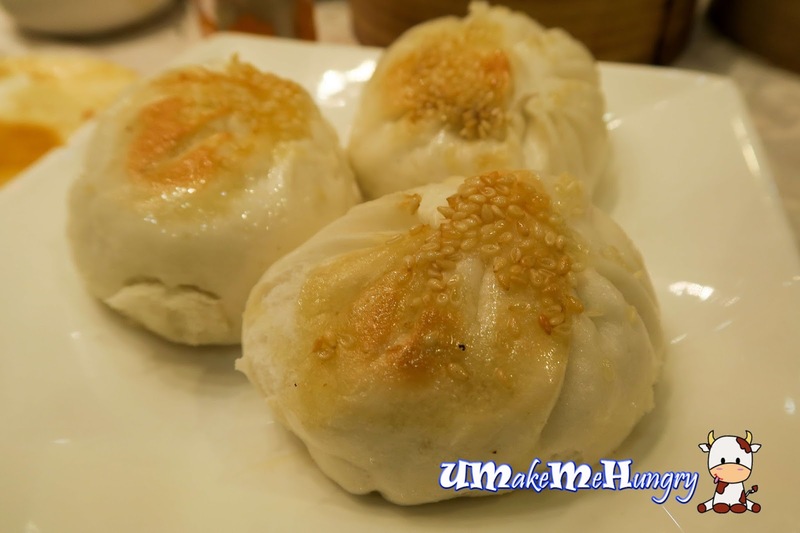 They looked abit oily on the outside with handful of sesame seeds topped the bun. 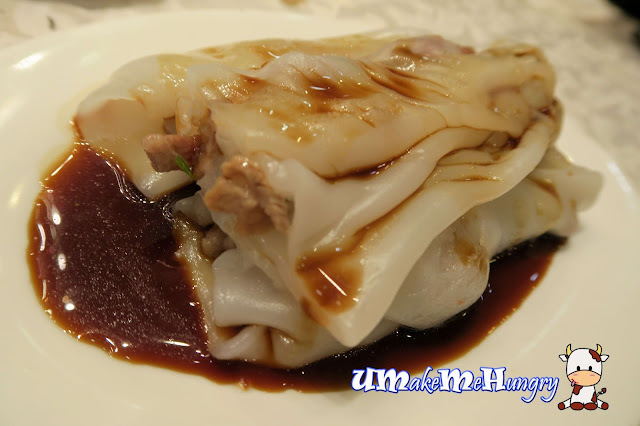 However, it was the exterior that was seen oily a bit but if you were to peel open, the fillings were not too greasy. The carrot cake had my appetite, the soft and pan fried pieces were packed with aroma and hold the traditional taste of fried carrot cake with the use of yummy chinese sausage and had a textural taste with the shredded carrot. 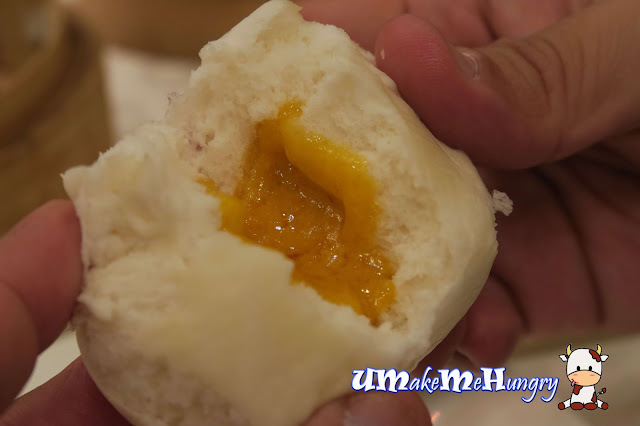 While we will all expect Custard Buns to let out its powerful weapon once we bite on it but right here, it seems like there isn't such "kick" in the practice. They looked more humble. Hehe. No sudden burst of oozing runny custard out of the baos but their fillings ratio to the bun was simply perfect. Fillings were not too sweet or too powdery and it was surprisingly good. 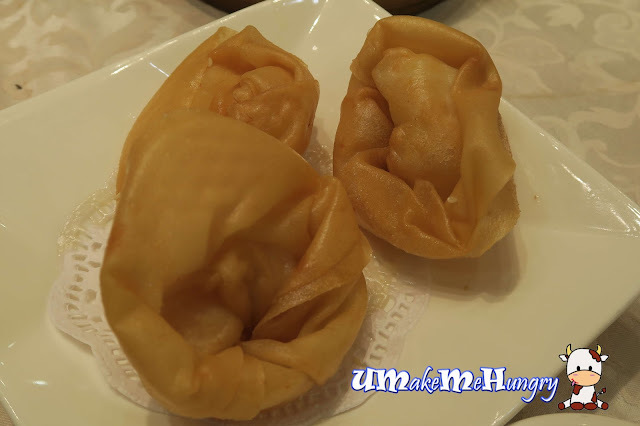 Shapes of the fried wantons looked too similar to the silver in the olden days. Wanton was very crispy and you can literally hear the crunching sound as you bite them down. Filling up the stomach with some glutinous rice. 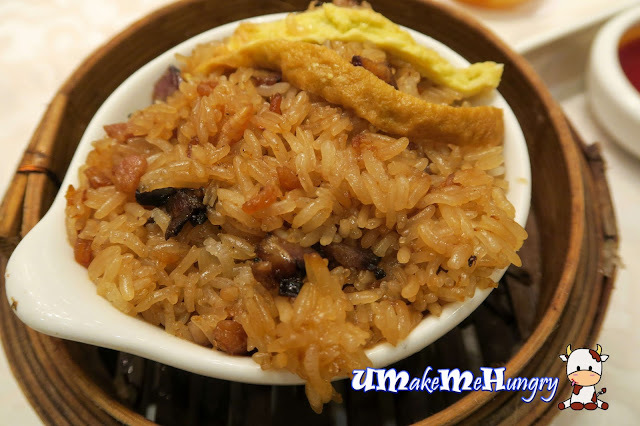 This little dish had ingredients like chinese sausage bits found among the rice with charred peanuts that gave a substantial amount of fragrance to it. Shreds of egg can also be found in there. 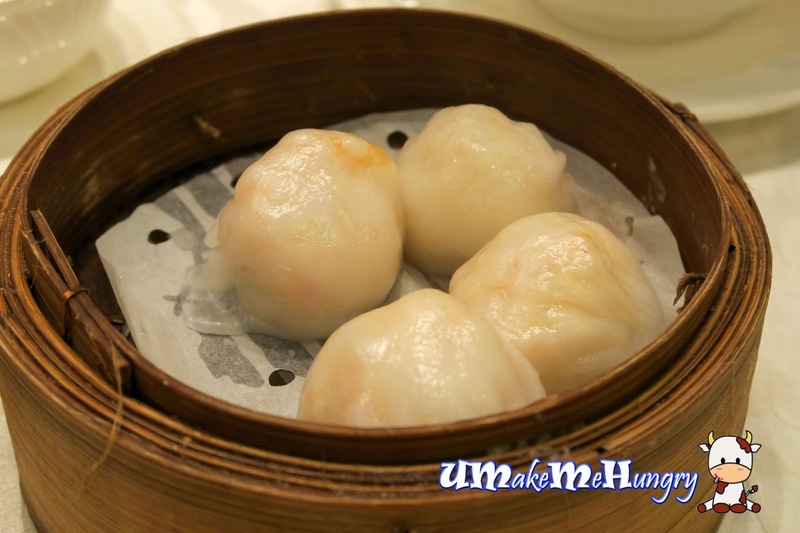 "Har Kau" or Fresh Prawn Dumplings are always the staples in dim sum. However the style did not really fit us. We will prefer the transulent skin to be thinner as this is too thick to our liking. Other than its exterior, I would say the prawns as the fillings were springy enough. 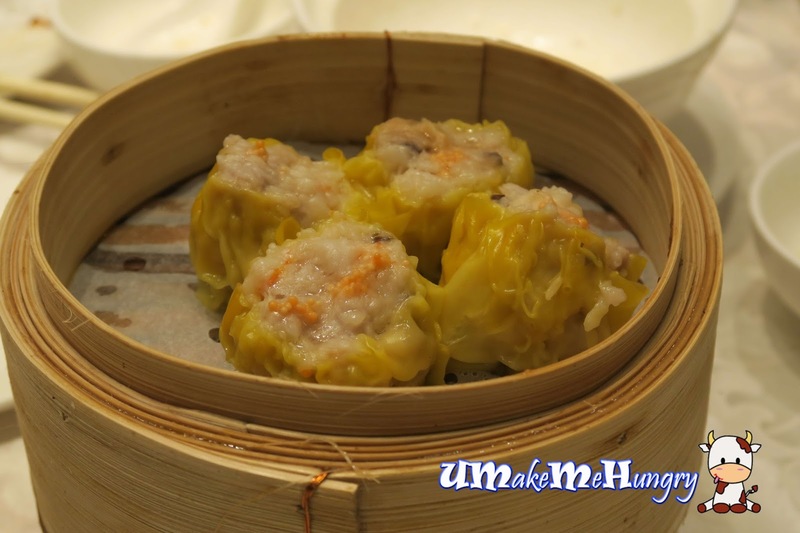 With roes topping the 4 Siew Mais in the tray, what I like about these Siew Mai were that they lend a very chewy bite and they don't have the kind of strong meat taste as compared back to what I had in Singapore. All in all, it was a good experience to observe and enjoy the local culture in having breakfast. For pricing of food, its worth the money well spend and absolutely cheaper as compared to those tourist guides recommendations in the mall.